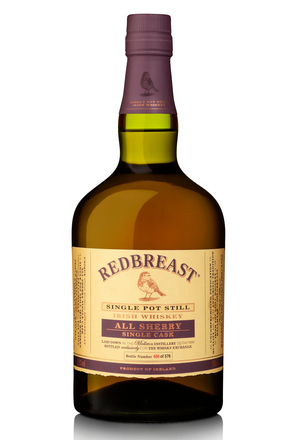 The first of the Redbreast range to be matured solely in oloroso sherry seasoned casks. 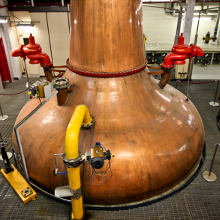 Mano a Lámh means ‘hand in hand’ in Spanish and Gaelic respectively and the name plays tribute to the Spanish artisans which supply Midelton Distillery with sherry butts. 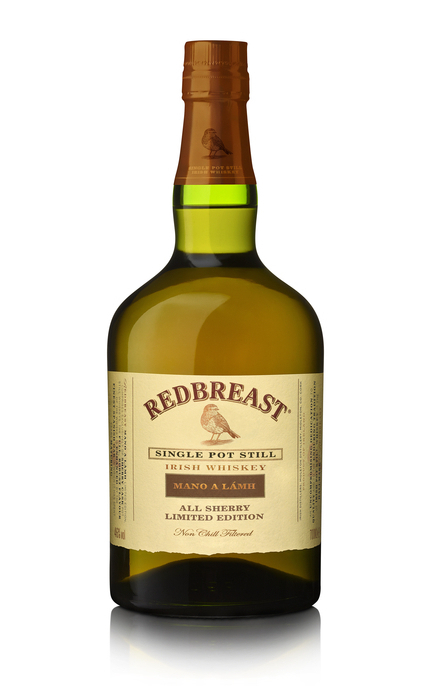 The casks used to mature Redbreast Mano a Lámh were specially commissioned by the Midelton Distillery and made using oak felled in the forests of Galicia, north-west Spain by Antonio Páez Lobato Bodega. 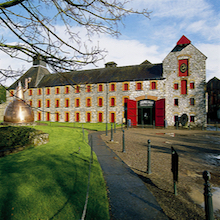 They are seasoned with oloroso sherry for two years at the Páez Lobato Bodega before being emptied and shipped to Midleton in the cool winter months were they are filled with new make pot still whiskeys. Raisins, sultanas and prunes with earthy pine needle, linseed oil putty, unsalted butter and vanilla with faint mocha coffee and lavender blossom. Water releases dill and lavender. 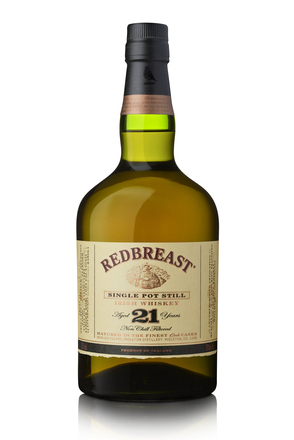 Dried fruit sweetness (plump raisin, sultana and prune) balances oak tannins, cinnamon, nutmeg and black pepper spice. Water opens but knocks back dried fruit sweetness. 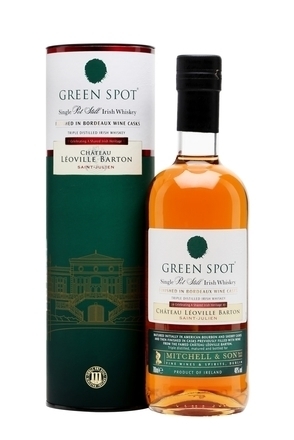 Rich fruity finish with lingering spiced oak. 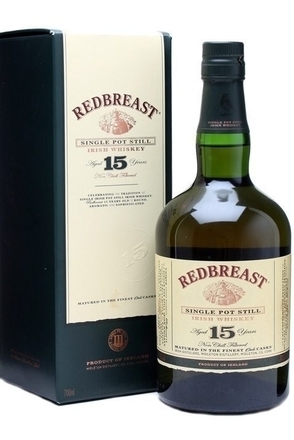 Overall: Rich fruit mellows Spanish oak tannins and pot still spice.